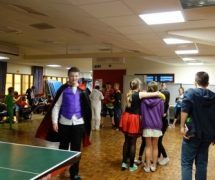 October 20th was the date set for Bryn CelynnogExtended Provision to run its Halloween Party that young people had been askingfor. 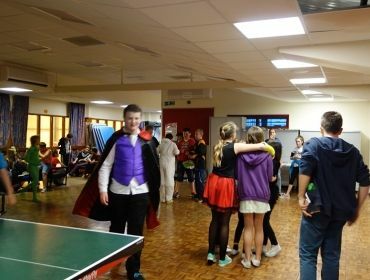 Some of them turned up straight after school with bags of stuff they hadbrought with them to decorate the club, and they spent 2 hours putting updecorations, draping cotton cob webs all across the chairs, getting ready withtheir costumes, and readying the place for when the masses came. 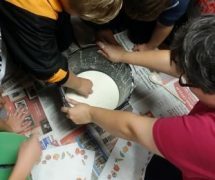 They wereshocked to find out that it took longer than they had expected to puteverything up! 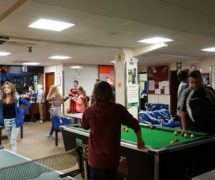 Here is what young people said about the night, and many ofthese gave up their own time to decorate the club and help with the planning. 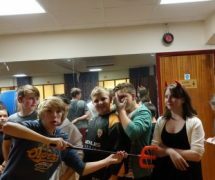 “It was awesome, and a great night.” – Zac, Year 10. 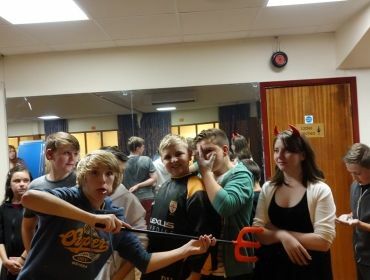 “Amazing night.” – Keely Year 10. 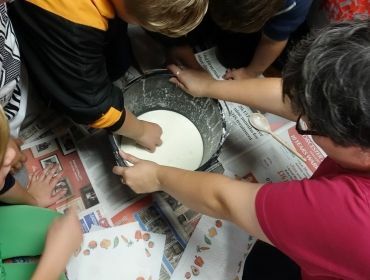 “I cannot explain it – it was so good!” – Aaron, year 10. “Amazing, it was so good.” – Leigh-Anne Year 10. 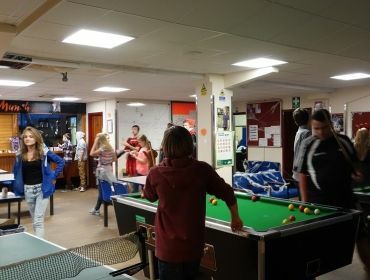 “It was an exhausting night, and I was shattered at the endof it, but it was great!” – Michael, year 10. “Good.” – Abby, year 7. “Awesome.” – Mason, year 10. “It was OK.” – Katie, Year 10.